Howdy! Welcome to my E-home away from home. Allow me to introduce myself. I am Robert T Horn, founder and chief operator of Rio Grande Forge. I am the farrier behind the Rio Grande Forge name. I have shod horses in Arkansas, Louisiana, Mississippi, Texas and Oklahoma. I graduated from Oklahoma Farrier's College in Sperry, Oklahoma. 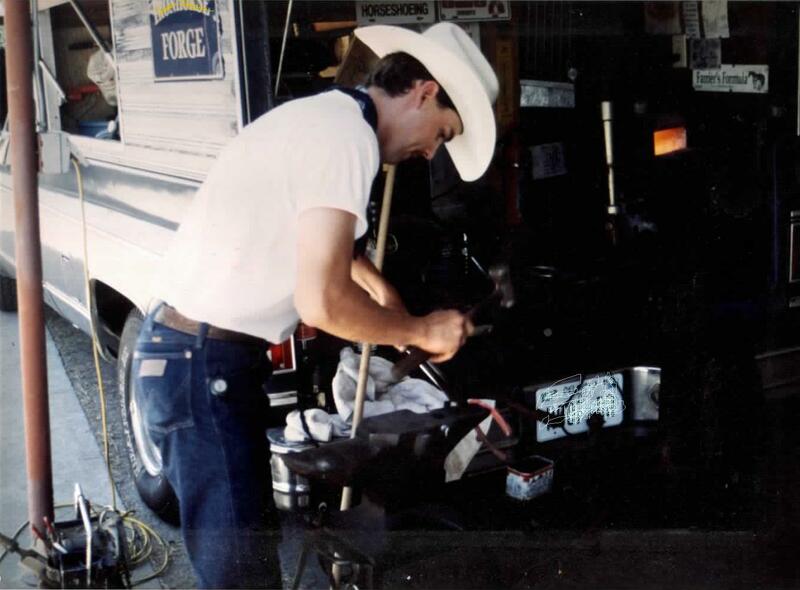 After finishing the Advanced Farrier course at OFC, I studied under Joe-Paul Meyers, CJF, RJF of McAlester, OK. I began on my own in Mission, Texas. Here I was able to apply many learned techniques to a variety of rodeo, English, dressage, hunter/jumper, and ranch horses. Before too long being closer to family brought me to Arkansas.